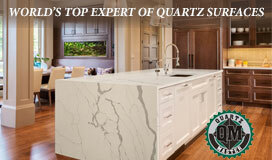 We think every day should have some element of fantasy to it. 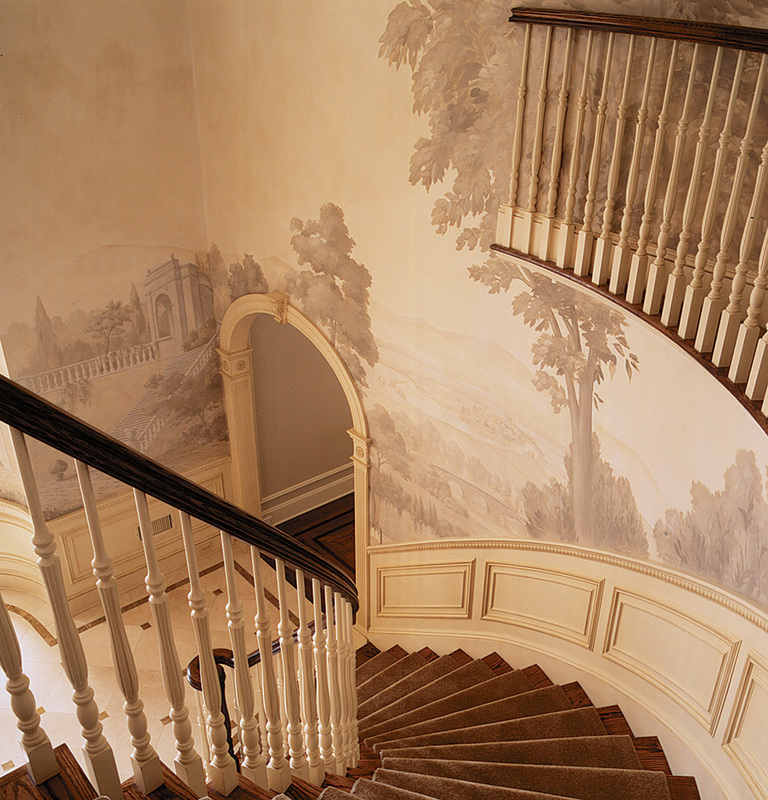 Here are some striking stairwells perfect for spurring the imagination. As for reality, we’ll think about that tomorrow. A softly-rendered woodland scene turns descending this staircase into a dream sequence. 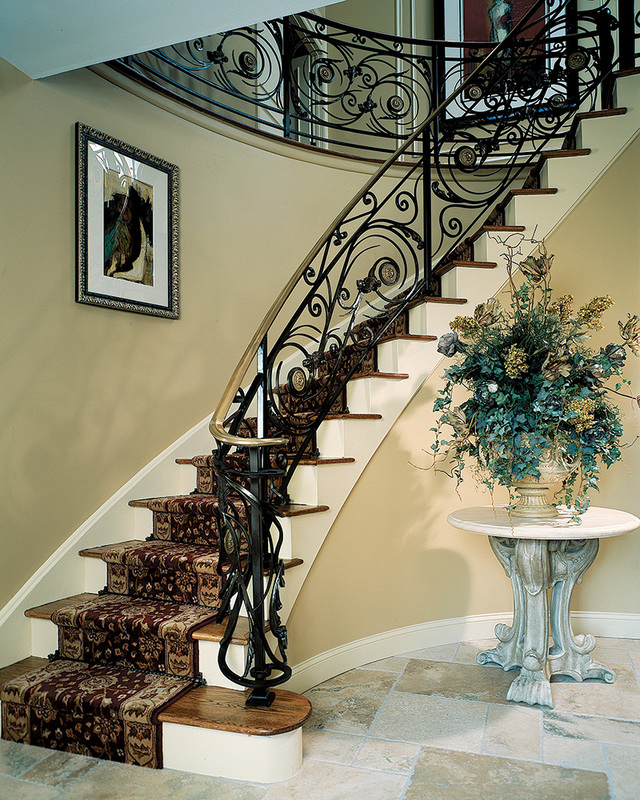 Wrought iron swirls create a graceful border on stairs and landing. If you’re going to make an entrance, make sure there are flowers and crystal waiting for you. 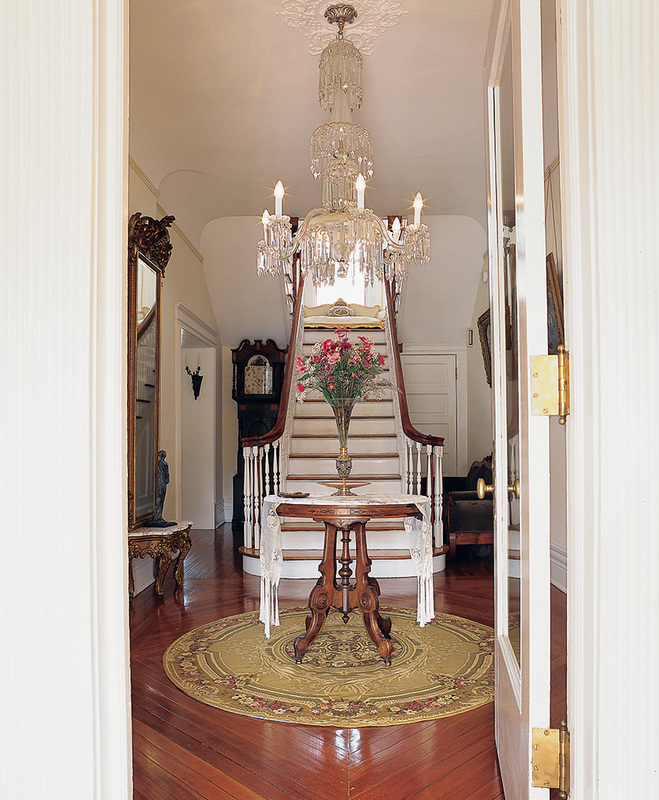 This curved staircase complements the vintage look in the foyer below. 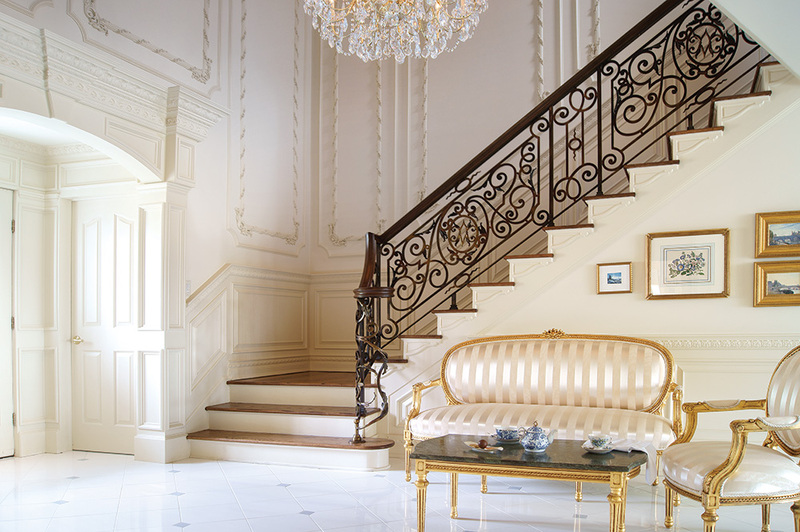 An iron railing ups the drama in this grand formal living room. 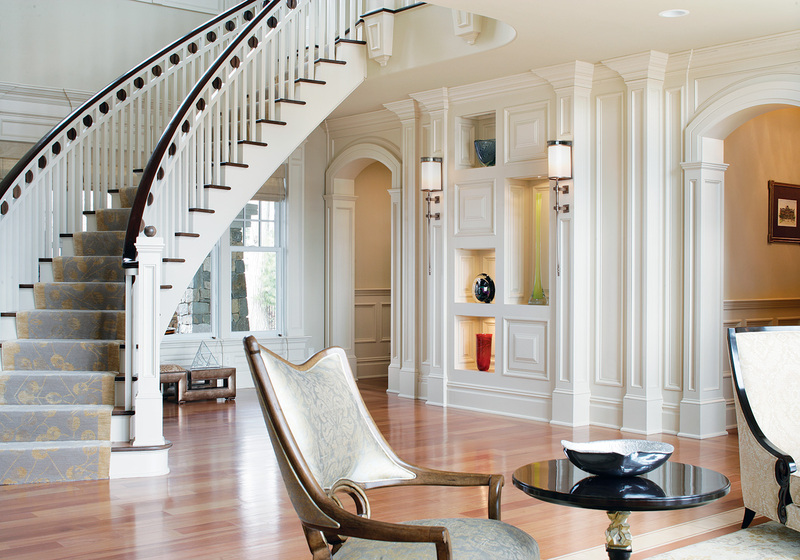 A free-floating, curved staircase is the focal point of this space. 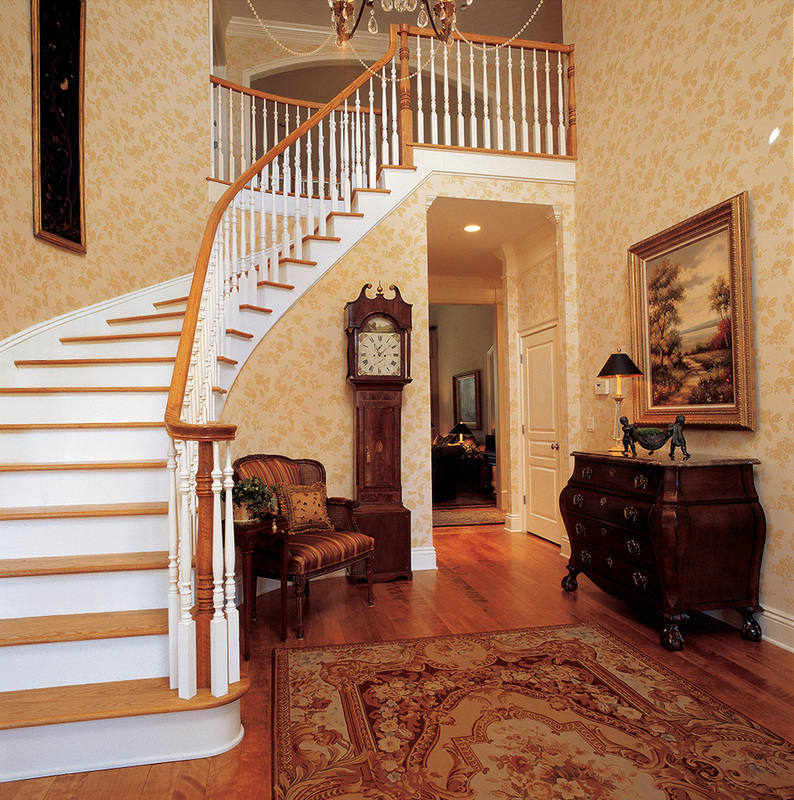 Dark rails and white spindles help these stairs stand out—and coordinate with the furnishings below. 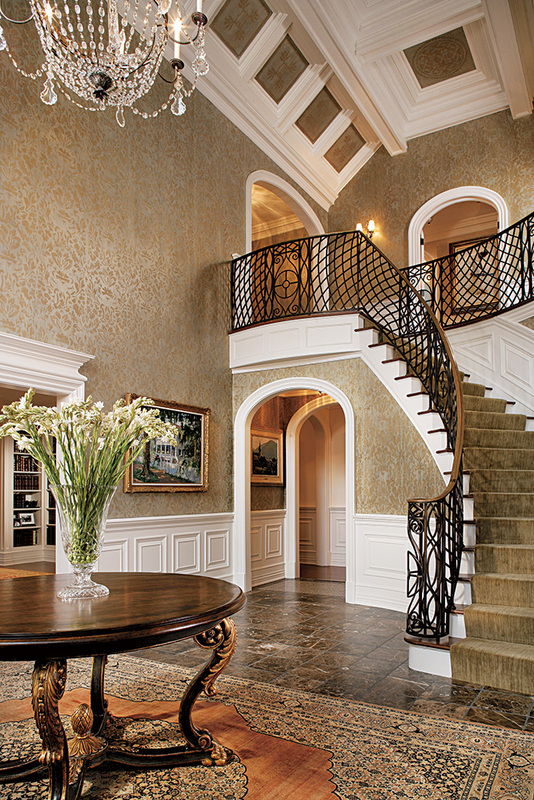 The ceiling is intriguing, but the staircase and its artistic railing are scene-stealers.